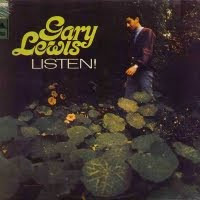 Gary Lewis - 1967 - Listen! Gary Lewis was the leader of the Playboys, a group I have to admit I know absolutely nothing about, but it's clear from this LP that the man knew how to make some great sunshine pop on his solo outing. Lewis' voice belongs to the A-list, the musical side of the songwriting is generally top notch, and the better tracks here rival the work of Curt Boettcher or the Beach Boys. I'm sure it doesn't hurt that the legendary Jack Nitzsche was on hand for the arrangements. That rarefied late 60's L.A. pop-psych production sheen is on full display here as well. It's a shame this album didn't share the charts with folks such as the Mamas and the Papas or Spanky and Our Gang - the chops are certainly present and I'd be willing to say that this is a stronger album than those groups typically managed. There are many fine tracks present here. A few of my favorites are the opening widescreen pop blast of "Jill," "Look Here Comes the Sun," which managed to rip off the Beatles' title before the Beatles had even written their Abbey Road song, and "Angel on the Corner," which could have fit perfectly onto one of the Beach Boys' late 60's LPs. There's an early attempt at country rock with "Reason to Believe," and a bit of a doo wop vibe on "Young and Carefree." Only the bubblegummy "Happiness" comes across as particularly annoying, and the production sheen almost makes me want to give it a 'get out of jail free' card. I don't typically see this album trumpeted as an A-list sunshine pop LP, but it really is one of the better ones I've come across. Be prepared for an overdose of happy vibes, but that's almost always a prerequisite for this sort of album anyway. Truly I say unto you... Listen! Actor David Hemmings, best known for his starring role in the classic Blow-Up, accepted the call that many other actors have heard, and attempted to cut an album. Fortunately for us, it's a psychedelic folk-rock oddity - certainly of more interest to my loyal blog readers than the musical rantings of Bruce Willis or David Hasselholf (although the latter's drunken video rantings are worth a listen). The main thing holding this album back from greatness, however, is Hemmings voice. Actually, his tonality and expressiveness are pretty solid, but I'll be damned if the man ever managed to sing a note in key. But this album fortunately has a few perks to get your attention. Hemmings enlisted Byrds Roger McGuinn and Chris Hillman to help out along with their manager Jim Dickson, along with a pretty fine outtake from former Byrd Gene Clark. This album basically carves up into three slices. We get a cover of Gene Clark's "Back Street Mirror," which is a great track, and some pretty good folk-rockin' takes on Tim Hardin's "Reason To Believe," and Bill Martin's "After the Rain." There are then a few versions of tradition folk songs, which are perfectly listenable save for the fact that Hamming can't quite hit the right note. They definitely don't compare to the Byrds' takes on traditional folk. When a few of the aforementioned Byrds do show up on "Good King James," "Talking L.A.," and "War's Mystery," they seem to being trying their best to recreate Tim Buckley's Goodbye and Hello, which would have worked out much better if Hemmings had perfect, or even ok, pitch. Well, maybe "Talking L.A." is more like Hemmings trying to sound like Jim Morrison if he woke up one morning and found himself Bob Dylan. On the plus side, you do get a large serving of McGuinn's 12-string Rickenbacker playing in its prime. You probably won't feel the need to append these tracks to Younger Than Yesterday or The Notorious Byrd Brothers, but they do make for a nice curio. 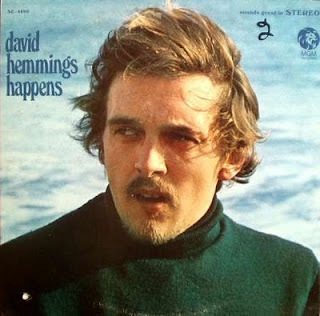 David Hemmings solo LP is far from an embarrassment, and serves as a hip signifier of the Summer of Love, but I would like to send him Auto-Tune through some kind of time transportation machine (and this is coming from a man who typically loathes Auto-Tune). Byrds historians of course must hear this, and they won't necessarily have a bad time either. That said, for Hemmings at his best, go rent Blow-Up. This solo album from Gong luminary Daevid Allen date from about the time that he originally left that band. Unlike the earlier solo album Banana Moon, this album has more of a stylistic consistency, focusing on a kind of pastoral space folk-rock. Granted that description has enough adjectives to make listening to this worth anyone's attention, and as usual Allen does make a few detours. Gillie Smyth of course contributes some vocals, and I'm pretty sure percussion whiz Pierre Moerlin is artfully banging around on the vibraphone at a few spots. The opening duo of tracks does a phenomenal job of establishing the space folk groove. Allen does sound a little reigned in here, and the atmosphere reminds me a bit of the quieter tracks from Pink Floyd's Meddle. "Spirit" starts out sounding like an outtake from the Beach Boys' Smile before shifting into another section that features some entertainingly menacing vocals from Allen. "Have You Seen My Friend" and "French Garden" return to more pastoral fields, but this time with a healthy dose of freaky 70's analog synthesis. "Wise Man In Your Heart" goes for the epic vibe of the more relaxed extended tracks on Gong's You. It's not as good as those classic tracks, but very few psychedelic prog songs are. After a brief slough through music hall kitsch on "She Doesn't She...," we get CD bonus track "Euterpe Gratitude Piece." It's a foray into Berlin School electronics that doesn't quite fit with the rest of the album, but I like it and it does provide a nice sonic mindbath to close things out on. Although Gong's early to mid 70's albums are the main event for fans of Caterbury psych-prog, Daevid Allen did a fine job of staking out a little patch of personal sonic space on his solo albums. Good Morning is no exception. There's no doubt that this is the same man that fronted Gong during their golden years, but it's definitely not the same thing. Daevid Allen is best known as the ringmaster of Gong's more psychedelic periods (as opposed to Pierre Moerlin's jazz-rock version of the band), although this LP dates to a period before Gong had really coalesced as a band. As such, the sound is very much in transition between Allen's involvement with the psychedelic ballroom sounds of the early Soft Machine and the prog freakout of Radio Gnome-era Gong. In fact, Robert Wyatt of the Soft Machine makes a few appearances here as does Canterbury scene standby, Pip Pyle and Allen's special ladyfriend and Gong fixture, Gillie Smyth. Side one of the album seems to reflect some of the more 60's forms of psychedelia, while the second side anticipates what Gong would be doing in a few years. "Time of Your Life" is an awesome, full-tilt acid rocker, propelled by what is some of the best drumming I've heard out of Robert Wyatt (who also sings lead on "Memories"). "All I Want Is Out Of Here" makes me think of the Muppets' Dr. Teeth and the Electric Mayhem after Animal made them all take the brown acid, an "Fred the Fish" is the only track on this album that I'd like to take out back and execute. I can't find anything saying that Kevin Ayers is taking on the vocal for "White Neck Blooze," but if that's not him, then Daevid Allen must have a Kevin Ayers aping superpower or something. It would have fit seamlessly on Ayers' similarly titled album, Bananamour. The end of this song also engages in some entertaining, stoned-out absurdity. "Stoned Innocent Frankenstein" and "I Am A Bowl" would not have been out of place as poppy highlights on a Gong album - although 'pop' is a relative term here as the songs are still pretty far out there. For the total freakout mirror of Gong, we get the twelve minute long "& His Adventure in the Land of Flip," complete with Gillie Smyth's cosmic bellowing and Allen speaking gibberish. I think it comes close to the deranged level of Frank Zappa's "The Return of the Son of Monster Magnet." This is every bit as essential as Gong's early albums such as Magick Brother and Camembert Electrique. Actually, I prefer this album to the latter - it also gets bonus points due to Robert Wyatt's drumming contributions. So yeah, stick this one in your ear. ...And so my sitar obsession continues. Here we have so British boys coming together to play with the sounds of India. Sagram consisted of a sitar, guitar, and tabla combo, and sitarist Clem Alford apparently spent time in India receiving some proper training. I'm sure an Indian musicologist could find some fault with this music in respect to formal structure and such (I did notice that "Morning Glory" pretty much directly quotes the Beatles "The Inner Light"), but it all sounds pretty good to my ear. The cover art suggests straight up psychedelic exploitation, but the music is something entirely different. There's not many pop or rock sounds on this LP, if any. I love psychedelic exploitation art, but usually find the music included to be crap, so I consider this a nice surprise even if the art and music don't match. 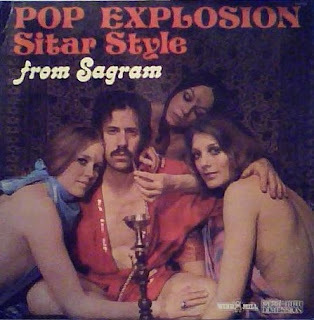 And no, the well-mustached harem king on the cover is not a member of Sagram, although it would be kind of awesome if he was. While the music here is very well performed and pleasant, the sounds are pretty uniform. You certainly won't hear the variety you might expect from someone like Ali Akbar Khan or Ravi Shankar. It sounds kind of like the house band at a groovy Inidan restaurant in London, with the music floating on well-played, but non-confrontational table grooves - the better to digest your curry, y'know. "The Universal Form" does manage to take a different direction, propelling itself on a much airier, ethereal sound. While there's nothing here to write home about, this is a very enjoyable album for you sitar fans to explore. As a side note, the musicians here also made up the backing band on the Magic Carpet LP, which you'll find here. There's a lot more Western influence on that one, but Sagram finds a more comfortable home on my turntable (well, mp3 player really). Ok, my Rapidshare account is expiring, so I'm very open to using a new hosting service. I know a few of you have mentioned some others to go with, but if you could comment here, that would be most useful. Thanks! The title of this makes me think that we're supposed to slap it with an 'acid house' label. Certainly, many elements of that genre are present and accounted for her, but the music presents these beats with a pretty light touch. There is a strong pull towards ambient sounds present as well, and it comes in a flavor not too dissimilar from the early Orb albums. Really, it's an approach that saves this music from the glossy sound that accompanied much of the acid house of the 90's. Yeah, that production sheen is there, but this music is much more of a mind trip than the gritty dance-floor freak out that acid house often aims for. The tracks are pretty well sequenced, with a notable build up throughout the album. The first couple of songs feature fine soundscapes punctuated by some light beats. They come across like a slightly more in-your-face version of the electronic sounds of Gas. "Meijijingu" pushes the BPMs a little faster, and the flavor of ambience takes on more colours from the Orb. "Saboten's" late night dance floor vibe is definitely one of the highlights of the album. The mid section of the album gets a little too involved with clanging noises and long stretches of programmed percussion, but "Akafuji" brings back some focus with it's dark soundscape, and "Tanuki" is a fine world music groover, even if the world music elements sound a bit like they took a trip through the Nature Company store. On the other hand, "Alphaville" comes across almost as insistently annoying as the computer voice from the movie I assume the track is titled after. While this is not top flight electronica, and does offer quite a bit of trippy sounds and should be appealing to those of you who dig stuff like Gas or the early Orb. There's definitely a nice 'art' vibe here - Yokota was clearly trying to create some textured, visual sounds, and some of the results are quite beautiful. Bruce Haack expended a lot of his efforts on children's and novelty music. Here, he tries to make a more 'adult' album, although the insane concept and sounds keeps it charmingly goofy. I guess you could say that this album sits at a crossroads among the Jefferson Airplane, the easy listening Moog stylings of Perry and Kingsley, and wacked out mysticism. No, that combination doesn't really make sense, but that's probably a good thing for this album. The album's concept has to do with 'Powerlove,' a force that is supposed to bring humanity together and reunite it with the forgiven Lucifer. Word up! Despite the concept, this album comes across best as a series of great, and very out there, tunes. My favorite here is "Program Me," which really does come across like alien doppelgangers of the Jefferson Airplane playing rubber instruments in a glass moon dome. "National Anthem to the Moon," meanwhile, has a great minor-key melody and "Electric To Me Turn" features some awesome homemade vocoder. "Word Game" is sort of an even more deranged version of what Haack was doing with Miss Nelson. For a dose of pure psychedelic madness, I direct you to "Super Nova." You get your 'powerlove' anthem with "Requiem," although it entertainingly loses focus after each verse, and then ends with a bit of "The First Noel." This is a pretty phenomenal album. It's certainly unlike anything else that you'll come across. Bruce Haack really was a mad genius. Although his approach and music was extremely different, I feel that Haack must have shared the same astral plane as Sun Ra (I like to think they still do). 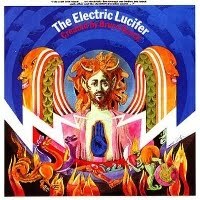 When I bought this one on vinyl, the fellow at the record store gave me a discount for the simple fact that I was buying The Electric Lucifer. Bruce Haack was an early electronic music pioneer who went to the trouble of creating his own electric noise makers and synthesizers. He also had a serious whimsical streak, which must have brought in contact with Miss Nelson, his collaborator for this and a few other albums from the period. I believe Miss Nelson was a bona fide kindergarten teacher, and this is a bona fide children's album. Granted, I get an image of the kids in Huxley's Brave New World dancing to this just after their first hit of soma, but that's still children's music, yeah? For the most part, these are more chants and stories than proper songs, but Haack's musical insanity often comes springing out of nowhere for a passage or three. 'Motorcycle Ride' doesn't have much more than a (sampled?) drum loop going for it musically, but the strange affectations of the vocals make me think of tots rolling down the street in a bike gang. 'Mudra' is probably the most mind bending of the tracks here, with the structure of a basic kindergarten activity, but the synthesized faux-Eastern sounds making the whole thing far stranger. "Accents" will just hurt your brain, but I suppose that it is somewhat educational. "Nothing to Do" is just waiting for a Yo La Tengo cover - maybe they've already gotten to it. 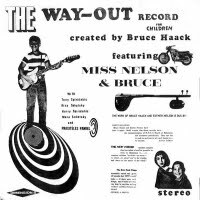 There aren't many psychedelic children's albums out there, and it's perfectly possible that all of them were made by Bruce Haack and Miss Nelson. Should you actually play it for your kid? Probably not - but I did. She seems to like J-pop better, though. 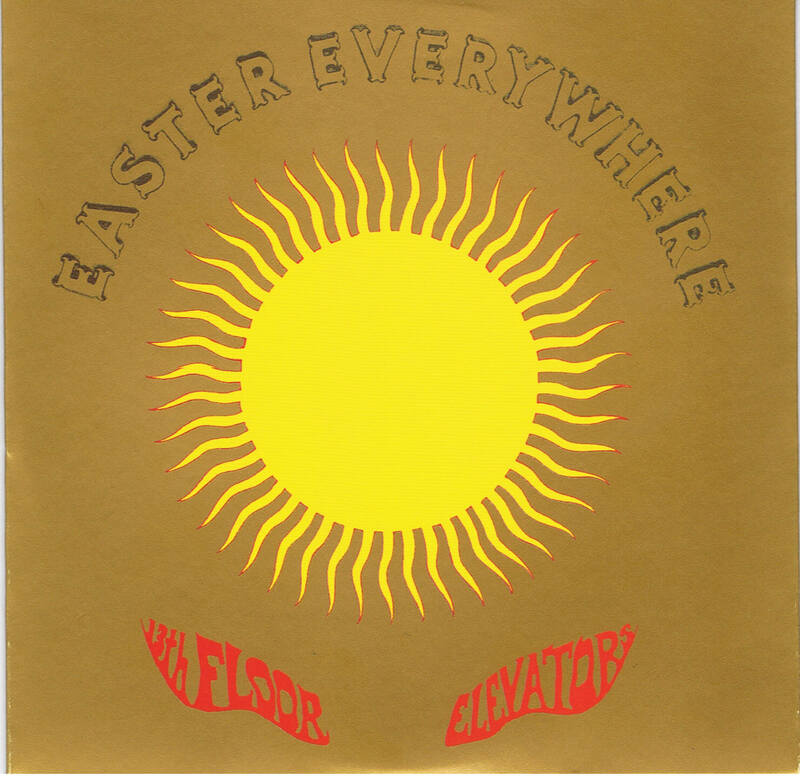 On Easter Everywhere, the 13th Floor Elevators managed to refine their sound without sacrificing the things that made their first album so great. Roky Erickson still sounds like a madman, but here he also comes across as much more intelligent and focused. Additionally, while still a little on the low-fi side, the production of Easter Everywhere is much clearer and helps to accent the band's interplay (although the rhythm section on this album is different from the first). Although they still qualify as garage rockers, the 13th Floor Elevators have a much more noticable folk rock sheen on Easter Everywhere. They even go as far as to include a damn good Dylan cover with "Baby Blue." On "Slide Machine," "Nobody To Love," "Dust," and "I Had To Tell You," the Elevators find a happy middle ground somewhere between the Byrds crystaline sound and Forever Changes-era Love. Fortunately for the garage rock afficianado, the Elevators pull out on the stops on "She Lives (In A Time Of Her Own),"Earthquake," and "Levitation." These helps to give Easter Everywhere a lot of diversity and make it an interesting listen from beginning to end. Easter Everywhere provides plenty of improvements over the first LP. Tommy Hall's jug can no longer coast as a strange novelty. It appears less often on Easter Everywhere, but when it is present serves more to create an distinct atmosphere. For me it's like quantum jitters in the typical tapestry of rock music. Stacy Sutherland leaps over his already strong playing on The Psychedelic Sounds Of... His solo on "Step Inside This House" manages to inspire awe and his accompaniment on many of the tracks, especially on "Baby Blue," is graceful and impressive. He is not a flashy guitarist at all, but extremely tasteful and Sutherland always seems to choose just the right notes. The lyrics are also much better on Easter Everywhere. Hall takes on the lion's shares of the lyrics, and while his worldview is certainly demented, he successfully sidesteps most psychedelic cliches and gives the listener something unique. It doesn't hurt that Erickson's all-for-broke singing usually complements Hall's vision perfectly. This synergy is best sampled on the opening track "Step Inside This House." It rarely makes logical sense, but it's never less than riveting. The only misstep on Easter Everywhere is the closing track "Postures (Leave Your Body Behind)." While not a terrible mistake by any means, it does overstay its welcome at six-and-a-half minutes. I guess the Elevators had already spent their long-form song capital on "Step Inside This House," which may even be too short at eight minutes. 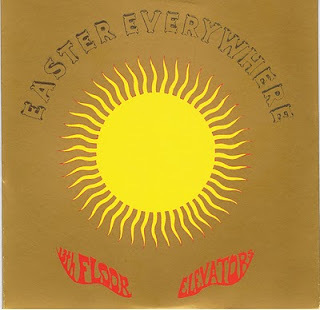 Easter Everywhere and The Psychedelic Sounds Of... basically comprise the 13th Floor Elevator's essential catalog. The "live" album is not as advertised and not recommended. There is also a metaphoric pantload of studio alternate takes and other live tracks on a string of compilations only recommended for those completely obsessed with the 13th Floor Elevators. The final studio album, Bull Of The Woods, is missing Hall's electric jug, and his presence as lyricist is much less. Even worse, Erickson's drug use landed him in several kinds of institutions and he is mostly absent from the album. That said, he is fully present for a mysterious and great take on "May The Circle Be Unbroken." This means the band is mostly dependent on Sutherland. He took on the challenge respectably with increased songwriting and great guitar playing, but it's still just not the same as the magical first two albums. Although the San Francisco, Los Angeles and Carnaby Street psychedelic scenes of the 60's are well documented and revered, some of the also-enviable microscenes are left out in the cold. Chief among these is the Austin, Texas scene from which sprouted a just-starting-out Janis Joplin, the Red Crayola, and the infamous 13th Floor Elevators. Although a proper band, the most notorious member of these garage-psyche rockers is Roky Erickson, sometimes regarded as America's own analog to Syd Barrett. Like Barrett, Erickson shined with the band for a few albums before embarking on a fractured solo career. Fortunately for Erickson, despite his questionable grasp on sanity, he continues to occasionally pop up to make music to this day. Even better, Erickson possesses perhaps the finest voice ever heard in garage-psyche, a wildman yelp that whcih always sounds obssessed, and manages to make even more half-baked sounds worthy. On the album in question, Erickson is at his finest. But the 13th Floor Elevators were not a one trick pony. Lyricist Tommy Hall wanted to double as a true member of the band and brought in something called the electric jug. It produces a truly odd, bubbly sound that permeates most of the band's songs. In full disclosure, you'll either love it or hate it, and if you hate it, it will be difficult to get into this band. The real secret weapon here, however, is lead guitarist Stacy Sutherland. His winding and often stately leads compare favorably with even such notables as Jorma Kaukonen of the Jefferson Airplane. 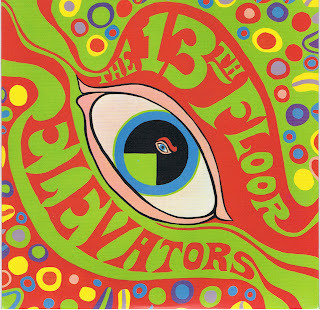 The Psychedelic Sounds Of The 13th Floor Elevators is often cited as the first psychedelic album. Although that's more than up for debate, I do believe it was the first album to actively use the word "psychedelic." The still eye-catching sleeve was definately among the first of its kind. The Elevators seeked to expand their music making into a strange, acid-drenched form of philosophy. Judging by the rantings on the back cover of the record jacket, they didn't really think out this philosophy, but it does seem to bring a certain level of conviction to the music. It also makes the lyrics a notch above the norm of most of the band's contemporaries. Even when they don't make sense, they seem to being saying more than just the typical boy-meets(or loses)-girl love songs. Leading off the album is what I consider one of the best rock songs ever, "You're Gonna Miss Me." At heart the tune is a typical mid 60's stomper, but with the electric jug wildly perculating and Erickson sounding truly possessed, the whole track turns to gold. Soon the Elevators start to bring out the truly psychedelic riffs. "Roller Coaster" provides a trance-like guitar part that eventually erupts into a rave-up that rivals those of The Yardbirds. Later we hear a speaker-busting bassline that can consume your mind on "Reverberation (Doubt)." Although arguably at their best on the full-blast psych-rockers on this album, the Elevators churn out some more-than-respectable folk-psych ballads on "Splash 1," "Don't Fall Down," and "You Don't Know." These tracks hint at the path that the band would follow on their next album Easter Everywhere. The chief problem on The Psychedelic Sounds Of The 13th Floor Elevators is the often-muddy production. I'd imagine that the culprit for this is the recording budget rather than the band or producer Leland Rogers (Kenny's brother!). Still, it makes obtaining a copy of this album worth a little research. Despite the marquee names, you won't hear Ravi Shankar's sitar or George Harrison's voice or lead guitar. Still, this is one of the best things that either recorded in their careers. 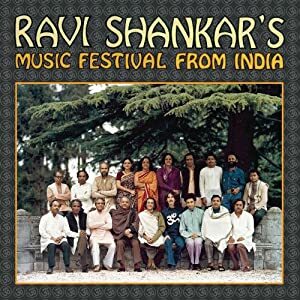 Shankar took it upon himself to arrange a number of ancient Indian chants, while Harrison took on the role of producer and contributes some acoustic guitar parts as well as some instrumental textures such as the vibraphone. This is truly transcendent music - all this album needs to take you on a trip is a ray of sunlight piercing through your window. A track-by-track review doesn't really seem appropriate when dealing with deeply religious music, so I won't bother. I will say that the chanting is top notch to my ear, while Harrison's instrumental contributions adds a little incentive for the modern rockers among us. 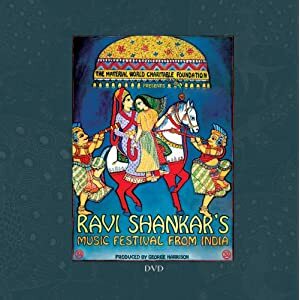 Shankar's arrangements do include much of the East with the chanting and drones, but a fair amount of western sounds show up as well with acoustic guitars and some string embellishments wafting over the music. One session of this was recorded in London, while the other two took place in Mumbai. As such, it's not an entirely authentic Indian experience, but it is as near a perfect musical and spiritual experience as you're likely to find on a physical slab of media. These tracks are recordings taken from a European tour produced by George Harrison. Shankar arrived with a chamber orchestra of 17 musicians and serves as conductor rather than sitar player for much of the music. This is definitely the most traditional Indian music of the box set (along with the accompanying DVD) in terms of both song selection and arrangements. Harrison does not play any of the instruments here and there is absolutely no attempt to mix in western influences. The sound here is extremely good even by modern standards - while the press release seems to suggest that these were concert recordings, they sound extremely crisp, clear and well defined. 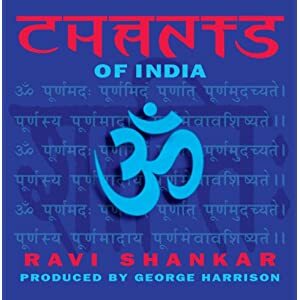 While Chants of India focused exclusively on Vedic hymns, this set works in a few different styles of Indian sounds and provides space for more traditional instruments than that later collaboration. Most of the tracks do feature often chanting vocals, although there are a few instrumental passages in the middle of the album. As much as I enjoy Indian music, I'm not a scholar of it or even particularly qualified to intelligently comment on specific songs - I'll just leave it at the fact that everything on this disc is superior music. 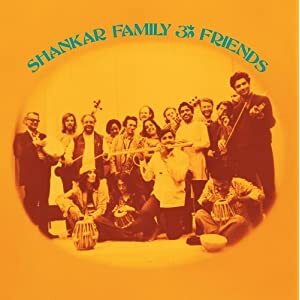 If you're used to hearing Shankar backed by only a small ensemble, you may find yourself surprised by the opulent sound of this larger group. It definitely evokes images of a lush, royal court in the mountains of northern India. This was one of the first releases on Harrison's Dark Horse imprint, and he's serving here as producer as well as picking up a few of the instruments. Luminaries such as Ringo Starr and Billy Preston also make appearances on he along with the cadre of Indian pros. The first side of the album is a collection of mildly to majorly pop-infected songs. "I Am Missing You" isn't a bad track, but I feel that it's All Things Must Past filtered through Mumbai sound sort of misses the spiritual bulls-eye that so much of this set hits. I prefer the three other lower key tracks presented one the first side. Side two is significantly more ambitious, and is a (still unperformed) ballet. The structure of the suite is a little more western in nature and some of the percussion is also from the West (timpani and drum kits), but the sound remains distinctly grounded in Indian sounds. Still, "Lust (Raga Chandrakauns)" drifts into some kind of strange fusion groove, while "Disillusionment & Frustration" finds an interesting way to fit a Moog synthesizer into the Indian aesthetic. While this is probably my least favorite CD in the set, it's also the most fascinating with plenty of experiments in fusing western and eastern sounds. It's actually probably the best place to start for those getting this set because of Harrison's name on the set. While Shankar is definitely still the main signifier for this music, some of the sounds do reflect what Harrison recorded on his own and with the Beatles and may be more comfortable for the uninitiated western listener. This is the first release of this recording from the Royal Albert Hall in 1974, which features the same ensemble as disc two of this set. Unfortunately, some of the footage has been damaged and/or lost over the years, so we're not looking at a pristine visual presentation. The 4:3 aspect ratio does look a little mushy and it's clear that we're missing footage. Musicians often appear playing something completely different than what you're hearing on the soundtrack, and they sometimes go for the 'slo-mo' shot, which is a little silly in a live context. Still, I haven't come across much video of classical Indian performances, and it's fascinating to see what the musicians are doing physically. There are certainly enough positives to give this disc your attention despite it. Harrison is not serving as a musician here, but he does appear giving a noticeably nervous and highly entertaining introduction for Shankar and the group (and admits as much). Shankar is once again serving mostly as conductor for the group, although he does join the sitar section of a bit. The real star of this disc, however, is the soundtrack, which sounds great (especially in 5.1) and features much more music that the album does as this runs at an hour and a quarter. This set is an Amazon exclusive and supposedly limited, so jump on it fast. It's too bad this hasn't seen a wider release and promotion as it really is one of the best music releases of the year. As a musical experience, it's impeccable and the spiritual strain of much of this music is strong and inspiring. Unfortunately, Guitar's "saltykisses'" aren't really as awesome as their "sunkisses." It's a little hard to get a grip on Guitar's discography, but I believe that this qualifies as their 'sophomore slump.' Group mastermind Michael Luckner was clearly trying to expand his palette or sounds, but seems to have abandoned a bit of his muse in doing so. This album takes aim at including more acoustic sounds and touches of indie rock without quite hitting the mark, but tends to sideline the immaculate walls of tripped-out sounds found on Sunkissed. Still, there are a few definite winners on this disc. "At the Seaside" features male vocals, which the previous album did not, and actually manages to best the tracks found on Sunkissed. The songwriting is sharper, and the production is a little more gritty, which serves to make this come across as sounding like a great, lost Loveless outtake. "If I Didn't Meet You" is the best of the more stripped down/downbeat flavored tracks and is one of several tracks to feature vocalist Ayako Akashiba. "Saltyme & Saltykisses" serves up the best psychedelic, shoegazer sound trip on the album, while the instrumental "I Dream the Sand" is a fun backward looping ambient track, although it's not as great as "Hot Sun Trail" from the previous album. The other tracks tend to be a little bland, but the only one that I absolutely need to skip is the folk misfire "Jodelei," which actually features yodeling. 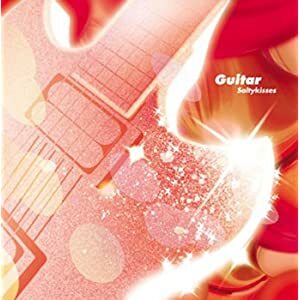 Definitely begin your exploration of Guitar with Sunkissed. I bought this album four years ago due to its entertainingly Loveless-aping cover, but it took me four years to give another album of theirs a shot (and that one turned out to be fantastic). Still, you'll find a few songs here that nicely supplement their first. While it's not really a match for the prolific quality of krautrock, folks like Ulrich Schnauss, Thomas Fehlmann, and Michael Luckner (responsible for Guitar) have certainly been bringing on a surge of awesome shoegazing-ambient-electronica sort of stuff. The album is pure aural honey, sort of like crossing My Bloody Valentine with some of the better downbeat albums. No, "Sunkissed" doesn't get any major points in originality, but the execution is so well done and the sound so tripped-out that it really doesn't matter. Most of the tracks feature the vocals of Donna Regina and Ayako Akashiba. Both fit the shoegaze dynamic quite well, although I slightly prefer the strangely pronounced, almost cutsey vocals of Akashiba (although I live in Japan with a Japanese wife - so I admit there may be a touch of bias). Usually I'm not a fan of 'cute' vocals, but they do extremely well against walls of psychedelic distortion and backwards loops. Regina definitely manages to shine, however, on "House Full of Time," which pits her against squalls of amazing guitar distortion. Akashiba's best spots are on the gently floating "See Sea, Bee, and Bee," and the almost club-ready "How So Bright of Universe." There's one instrumental in the presence in the form of "Hot Sun Trail," which ends up being a highlight due to its production showcase of what Luckner can do with thick slabs of backwards sound. Although I've only recent come across this album, I it's made a quick line to my top ten albums of the past 10 years. It's certainly not a perfect disc, but it's easily found itself in constant rotation on my stereo and there is much to explore within its dense grooves. These electronic tunes had a nice, long gestation period, and I'm pretty happy with the final results. I wanted to get away from the 'four-on-the-floor' house sort of beats that I used a lot on Psychedelic Anthropology and focus more on the 'sonic sculpture' concept that I had back with Electric Ocean. Of course, with a completely different set of instruments and recording equipment, this music is hopefully its own entity. Although several of these tracks were quick and painless, several of these tracks (especially the instrumental ones) were originally intended to be part of a collaboration and intentionally left half-finished. But after more than a year and a few shifts in perspective, I finished them up mostly with the help of my Juno 60 synthesizer. and insight, shrouded in profound, sacred mystery, is an innate and inseparable part of us. Anyway, I'd love to hear your comments concerning these songs (good or bad), and if you want to repost, please let me know! It always makes my day. Although hailing from Germany, Rust definitely does not fit under the krautrock umbrella. This is full blown psychedelic garage rock in the vein of the Electric Prunes with a bit of British psychedelic production madness thrown in for good effect - it's very much in a 'summer of love' sort of mindset. I'd say early Traffic is another good comparison of the sounds found here. The performances are pretty top notch, but the real ace in the whole is the songwriting. Rust's tracks are extremely well written and pretty catchy overall. If these guys had been from the States or Britain two years earlier, I bet they would've become a major concern. This album stays pretty strong throughout. My favorites include the west coast garage rock blasts of "You Thought You Has It Made" (complete with ridiculous vocals effects!) and "Delusion," while "Please Return" and the title track do the best job of going for that early Traffic vibe, and "Find A Hideaway" actually finds a very groovy balance between the Byrds, Love, and the Jefferson Airplane. It may be the best track here. 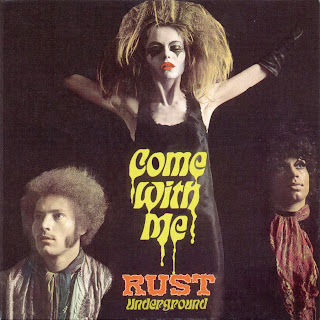 Despite the creepy, gothic, and somewhat terrible cover art, Come With Me is a pretty technicolour slab of psychedelic rock. Although it doesn't quite bat with the A-list, it certainly is undeserving of obscurity and plays better track-by-track than a typical album by the Electric Prunes or Chocolate Watchband (not to slight those still great bands). Don Cherry was one of the more notable jazz trumpeters, often appearing as a collaborator or sideman to jazz greats like Ornette Coleman and John Coltrane in the late 1950's and 1960's. 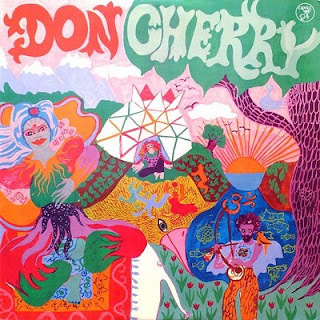 On this album as bandleader, Cherry guides the music into world music sounds on the first LP while working on the more avant-garde side of acoustic jazz on the second. You'll hear echoes of Sun Ra, Pharoah Sanders, and Albert Ayler among others on this album, but Cherry is still able to bring together a singular and fascinating vision of his own. The opening track claims to be a northern Brazilian ceremonial hymn, but there are plenty of other world music hints here as well such as Indian drones and Tibetan percussion. The track is a slowly building chant which is supported by a growing percussion section and the 'ceremonial' claim of the title certainly comes across as accurate. "Elixir" gives us a full blast of tribal percussion framed by a flute solo and Indian-inspired violin (although the violin playing does comes across as a little scratchy). "Relativity" is a two part suite which unfortunately repeats the basic bass line of "Elixir," but does continue with awesome percussion and adds in some chanting that finds space between the contemporaneous chants of Pharoah Sanders and Sun Ra, and a bit of speaking in tongues. You really don't hear a whole lot of Cherry's trumpet on the first LP, but the more jazz-oriented second disc features more of his playing (and I'm guessing that's him on the flute as well). For most of this disc, the band drifts in and out of several tunes, coming across as a group of far-out jazz cats having a 3am jam in an opium den. Although not quite free jazz, this music is very improvisational sounding, but in a very gentle and drifting way as opposed to the harsh, confrontational sound that 60's and 70's avant-garde jazz can often dish out. The closing track, "Resa," is separated from this motif. It sounds like a live recording (although a perfectly listenable one), and edges a touch in spots towards Albert Ayler's free jazz swoon. This is a fine late night record for those of you interested in the trippier side of jazz. While not an absolute classic, there are some wonderful sonic colors to discover on this LP, and the cover art definitely puts a nice bow on this package. 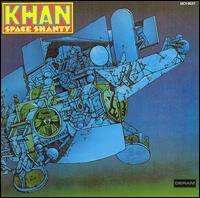 I've always let Steve Hillage be my primary constant for exploring the Canterbury scene, and the short lived band Khan is another very groovy step on his musical journey. This plays pretty much like a Steve Hillage solo album with Hillage handling the vast majority of the songwriting and most of the vocals. Of course I'd be remiss not to mention organist Dave Stewart, who also played with Hillage on the Arzachel album and never had any thing to do with the Eurythmics (that's a different guy). His organ playing is a perfect foil for Hillage's crystaline leads and he gets a few moments to shine on his own as well. The sound does recall a fair amount of Khan's jazzy prog peers, but I always appreciate Hillage's 'new age Jesus' vibe, and the production here is very crisp and meaty. Truthfully, the band pretty much fits a comfortable jazz-rock groove and sits on it for most of the album. It all flows very well, but certainly doesn't come across as groundbreaking. Yeah, it sounds sort of like an early 70's Pink Floyd albums, but it has a more positive vibe than those titans of the album charts usually managed. Besides, Hillage's guitar playing makes Gilmour sound like an amateur (although a very passionate one), and Dave Stewart hit some precise organ runs that I don't recall hearing Rick Wright manage. I dig the vocal part of "Space Shanty," as it reminds me of Cheech and Chong's performance at the end of Up In Smoke. "Driving to Amsterdam" and "Hollow Stone" pretty much sound like the same Meddle outtake, but this is a band that you can pretty much just float downstream with anyway. I also dig the acoustic glaze that permeates "Stranded." While this album gets a D- for originality, the quality of the performances, production, and songwriting make it worth a few listens. Steve Hillage fans especially need to check it out. You would probably be accurate by slapping a label on the front of this that says 'Generic Canterbury Album," but that's not necessarily a bad thing when you could end up with Grand Funk Railroad or the new Justin Beiber album instead. This is an interesting early effort from the soon-to-be members of Egg and 70's space guitar diety, Steve Hillage. Apparently, the musicians more or less threw this together from only a day in the studio, but the musicianship is at such a high level that it comes out sounding far more thought out than its origins imply. They'd also been playing gigs together a year or so earlier under the name Uriel. Still, for a lark this is pretty solid stuff. The music here is right on the cusp between 60's psych and prog, infused with the vibes of the Canterbury scene. The album begins with several shorter form tracks, the best of which is the opening "Garden of Earthly Delights." It comes across very much like one of Traffic's better psych singles and the balance between Mont Cambell's psych-folk crooner vocals and Steve Hillage's happy, but never quite on key, singing is fun. You also get a pure blast of Hillage's lead guitar work at the end, although you'll find plenty of that on this LP. 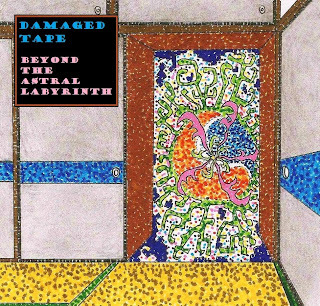 "Azathoth" starts out sounding like a more gothic Procol Harem before becoming far more unsettling near the end. "Queen St. Gang" and "Leg" are the lesser tracks, with the former being a pleasant but unassuming psych-jazz rocker and the latter sounding like a Cream outtake, although Hillage's attempt to nail a Jack Bruce-style vocal doesn't really hit the mark. This causes the band to de-evolve into insane echoing feedback for the last few minutes of the song. Side two brings us two, long jammy tracks. The first one, "Clean Innocent Fun," carries on the Cream vibe, but with lots of organ. It's a little derivative, but I'd honestly rather listen to Hillage rip out wild leads on his guitar than Clapton, and the band works up a proto-punk head of steam that Cream was never able to do. "Metempsychosis" is the better of the long form tracks, with the band serving up a sixteen minute psychedelic freakout that would have captivated the heads at the UFO Club in the 60's. Yeah, they recycle a few tricks from early Floyd and the Soft Machine, but I think that these top-notch musicians are able to pull it off a little better (not that the Soft Machine didn't have top-notch musicians too - and the Floyd charming ones). Along with the album opening, this is the one that you need to hear. Here at the Psychedelic Garage, I often get distracted by ambient and krautrock tangents, but if you need a dose of straight up, pure psychedelic rock, this is a pretty good album to shove into your earhole. It's got a couple of great songs in its grooves, and plenty of full on attacks from one of the better psychedelic guitarists around. Vangelis went through the 80's best known for his blaring fanfares and creating records that sank deeper and deeper into flashy new age. This collection, however, is extremely ambient and an entirely different creature. Do not come to this album expecting any of Vangelis' trademark melodicism. The sounds of the mostly digital synthesizers are very representative of 80's technology, but Vangelis manages to use these tools in a very tasteful way. I'd be lying though if I say I didn't miss the analog opulence of his 70's work. While the first half is pretty abstract, the second half of "Invisible Connections" is exactly what you would expect to hear walking into a planetarium around 1987. I mean this as a compliment as I thought planetariums were awesome as an elementary school student at that time. There are plenty of lush pads layered into the track and there were at least five moments where I thought the music was about to shift into the opening music of "Star Trek: The Next Generation." This works for me as well since I still like watching that show. The second two tracks, "Atom Blaster" and "Thermo Vision" are more like a digital update of what Vangelis was doing on Beauborg. I don't like them as much as Beauborg, nor are they as groovy as the opening track. I guess when you're trying to create chaos, the binary 0's and 1's of a digital instrument simply don't work as well as analog unpredictability. Still, both tracks are fine as background music to slowly drive you pleasantly insane. I don't think that this is quite up to the standard of Vangelis' 70's work, especially when compared to the like-minded Beauborg, but this album is worth a listen for fans of this synth master. The second half of the title track is definitely a great one - it's just too bad that Vangelis couldn't keep my attention fixed quite as well for the other three quarters of the album. Pala Ferry - At various times I was aiming for R.E.M., mid-period Byrds, and Dennis Wilson on this track. I think the Beatles 'Rain' was stuck in the back of my head as well. Lyrically, this is an invitation to join my cult, which doesn't actually exist. I always got that sort of vibe from the Millennium's Begin, which was my first post on this blog and is one of my absolute favorites. Further Instructions - Here I'm commanding you to do abstract and impossible things. In my head it was going to be a fireside, smelly hippy folk rock chant, but then some Talking Heads style beats, Chuck Berry guitar riffs, and the goofier side of the Beach Boys backing vocals invaded my muse as well. This comes in second as I wanted to continue laying down the groundwork for my meaningless cult. Launch - I'm not sure what this one's about lyrically, but I wanted to go for a Black Sabbath sort of riff heavy song. Some Cream found its way into the wah-wah'ed out lead guitar as well. Apparently my attention span ran out as the coda takes a sudden and strange turn into electronica. Sign From Your Face - This is another one from my folk rock phase, and I was going for a Rubber Soul sort of vibe here. One with the Harrison parts being beamed in from the early 70's. My original vocal take tried to emulate Lennon and Dylan all at once, but it sounded ridiculous so I ended up dialing it back for this finished version. Blues For A Red Planet - This is from a basement jam with Andrew Shearer on drums and myself on rhythm guitar. For the overdubs, I ran my Moog for a vacuum tube for the first time, and I kind of got off on it. I couldn't find my guitar slide for the lead guitar overdub and ended up using a plastic ear cleaner instead. The title is from an episode of Carl Sagan's Cosmos, which you should all watch right now. Sometime With You - This song has been bouncing around in my head since my university days ten years ago, so I had to record it just to get it out of my damn head. Actually, the lyrics in my head were far dumber, but I was able to get away from those. My Little Utopia - I wrote this sitting on a 50 meter cliff on a small Canadian island about seven years ago. I re-extrapolated the melody of the Dean Martin standard 'Melodies Are Made of This' for this track, but if Brian Wilson can get away with turning 'When You Wish Upon a Star' into 'Surfer Girl,' I might be safe. Cliffs - I wrote this one back in 1999 on a bit of a bender in my college dorm room. I had recently been introduced to Syd Barrett's music at that time, so this is one of the Barrett-iest tracks I've come up with. I could never get quite happy with a recording of this, but it turned out that it needed those swinging Soft Machine-style drums. Visions of the Unreality - This is another basement jam with Andrew and myself. My frequent collaborator Scott Atkinson crops up here with a bit of visionary poetry. It's actually the first time we've worked on music together while in the same room (or same country for that matter). It Means a Lot - Ironically, the lyrics pretty much mean nothing. I set out to rip off "Yur Blues," but got sidetracked by another period of obsession with the Doors, and then decided to top it all off with my Dylan vocal impression. I guess I was getting into that whole Dukes of Stratosphear 'be your favorite band' sort of vibe. Centrifugal Bumble Puppy - A gold star for those of you who get the title reference. I set out to write a song of my surreal and false triumphs, with each line starting with "I" and then a different verb. Music wise, I wanted to do a 'dude' version of the dronier and harder rocking Stereolab tracks. Taking the Time Out - This one kept popping up in my head as a crappy emo punk song, but I think I successfully guided it into 'Who' territory instead. If I ever make it onto a neo-Nuggets compilation, I could imagine this being the one. Hope you dig this stuff. I'd love to hear your comments and impressions, even if you end up thinking that this is a steaming pile of poo. I've heard of this album being likened to Vangelis falling on the keys of his Yamaha CS-80 synthesizer while taking a nap. This is very abstract music and there may very well be some truth to that. But hey, if you're going to fall on a synthesizer, the mammoth, horribly expensive, and analog CS-80 is probably a good one to go for. Really, I feel like this is comparable to some of the stuff that Morton Subotnik has been hailed a genius for. Even with the avante-garde instinct at full throttle, hints of Vangelis' melodic instincts shine through. Beaubourg is far from a fan favorite, but I think it ranks as one of Vangelis' best outings. This is basically one piece of music, split into two album sides. It's not really music to be listened to with a full attention span, nor does it serve as background music. This is simply music that has to be experienced. The esoteric is at center stage here as the music shifts from mood to mood without a comfortable reference point. Otherworldly synth tones attack your ears and evoke a truly alien landscape. I'll easily admit that this is not for everyone. Much of Vangelis' 70's works aim for grandiose cosmic tones, but this is a different creature entirely. You have to shut off the logical centers of your mind and let the sounds take you where they will. This is late night music to prime your subconscious for the surreal. It's far from perfect, but it contains a visceral wallop that more conventional musics do not. This is what the music of the spheres sound like as they come crashing through Earth. As far as I'm concerned, Spiral is Vangelis' masterpiece. Much of the prog and rock influences from his past couple albums are minimalized in favor of trance-like sequencing and a wide stage for the spacey synthesizers. It's a little more of a minimal approach, but it allows for Vangelis' melodies to shine through without coming across as cluttered and pompous as my least favorite parts of Heaven and Hell did. The opening title track has a massive sound backed by a properly spiraling sequencer. This is more like the sound of opening up the gates to Heaven or Hell - your choice which. 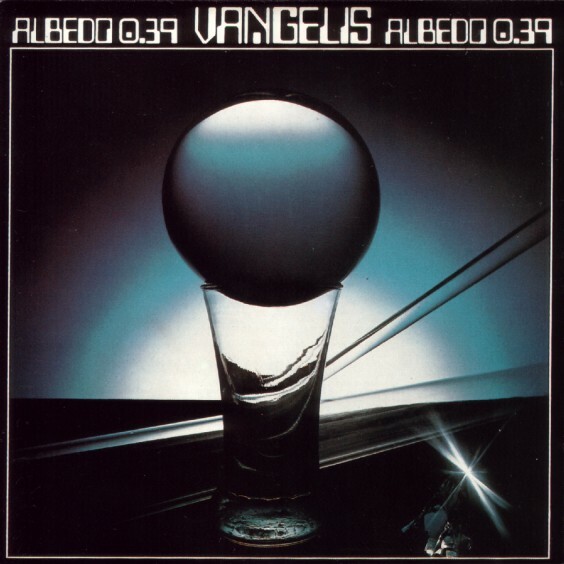 "Ballad" employs some early vocoding while the grooving "Dervish D" is a perfected form of the electronic groove that Vangelis was playing around with on much of Albedo 0.39. You may note that "To the Common Man" is awfully similar to Vangelis' later Oscar-winning "Chariots of Fire" theme. This more understated track is far superior, though. The album closes with a track somewhat similar in structure to "Spiral," but ends up sounding more like the Electric Light Parade at Disneyland and is the only mild misstep on the album. 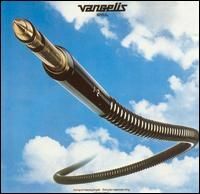 Although he doesn't quite make it all the way, Vangelis comes within spitting distance of the rarified electronic air of Klaus Schultze on Spiral. 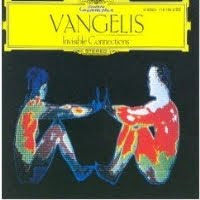 Still, Vangelis' melodic gifts come across well and make this a must hear for fans of 70's electronica. After his journey through Heaven and Hell, Vangelis saw it fit to launch himself into space. I think it suits him a lot better. This sounds an awful lot like the music that Tangerine Dream would make in the mid to late 80's (as well a Vangelis himself), but the funky, clunky analog sounds and 70's production makes this sound far better. The live drums that show up here and there help a lot too. Let's face it, music of this sort walks a fine line between 'awesome' and 'cheesy,' and the digital sheen of the 80's sent these sounds careening over the edge into a new age abyss. But we're looking at Albedo 0.39 for now, and it's the real deal. As far as the orchestral synthesized sub-genre goes, this is space music at its best. For you Carl Sagan junkies, "Pulstar" and "Alpha" were a few of the tracks that were used in the phenomenal score for Cosmos. There might be some more here as well, but those two were distinctly burned into my head. "Pulstar" features some brains piercing synth stabs while "Alpha" is a perfect crescendo. The other major tracks here are "Main Sequence," which sound like a band of robots playing fusion, and the two part "Nucleogenesis," which most recalls "Heaven and Hell Part 1," except that it's rocked up and sounds far superior to my ears (was this one in Cosmos as well?). There are some enjoyable shorter pieces as well. "Freefall" has a touch of world percussion added to fine effect, and the star chart recitation on the closing title track is fun as well. I think most of my trance music listening is at least in part my trying to recapture the vibe of sitting in a planetarium at age 8, and this one does a fine job of doing that. Yeah, this music is on the cusp of 'new age,' but I think that term usually applies to failed space or spiritual music. This album definitely gets the space dynamic correct. 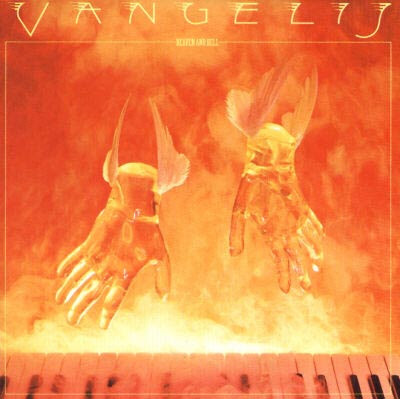 Vangelis certainly beat both 80's Tangerine Dream and his future self at their own game ten years before the fact. The way I see it, Vangelis has had four major periods in his career. There's of course his mostly awesome stint with the psychedelic rockin' Aphrodite's Child, his insane experimental/prog period of the early 70's, his 'golden artistic period' of the mid 70's and the new age drivel period he's been often stuck in since about 1979 (there are things like the Blade Runner soundtrack which definitely get a pass). This album is often seen as the start of his most artistically valid period, but to tell the truth I'm not that enamoured with Heaven and Hell. The are some touches of synth and melodic genius sprinkled throughout this record, but Vangelis was going for an orchestral prog vibe that tends to turn me off. If you're into that sort of thing, expect to add another point to the 'quality' meter. This appears to be a side-long track sort of affair, but I think it would have been a much better for the big 'Heaven and Hell' suites to be split up, or at least given names. It hard for me to conceptualize what's here and separate the wheat from the chaff, so to speak. "Heaven and Hell Part One' starts of well, but the choral vocals get pretty silly a few minutes in and it veers a little too far towards the orchestral prog vibe for my taste. That said the last few minutes of the 15 minute long suite is the music used for the theme to Carl Sagan's Cosmos, and that stands out as one of my favorite pieces of music in general. It's just too bad that I either have to fast forward or listen to pompous choruses and synth themes bellowing into my ear. "So Long Ago, So Clear to Me" doesn't appeal to me at all. Word on the street is that Jon Anderson of Yes and Vangelis were an inspired pairing, but it seems like the most hellish thing here in my view. "Heaven and Hell Part Two" fairs a little better with it's ambient vibe, but there are still a few sections where I see happy elves dancing in the shire or Lord of the Rings pomp instead of the more tripped out soundscapes that I look for in the best 70's electronic records. Like part one, the final section is the spaciest and the best. I suppose I'm being a little harsh with this album, but it's often held up as Vangelis' masterpiece whereas I prefer pretty much all of his other 70's albums over this one. Still, there are some spots of really great music to be found here, and if you dig Jon Anderson, then you'll have a nice treat under your pillow instead of the turd I found. I'm still having some problems with my internet connection, but I went out of my way to share this one with you as I've been listening to it regularly for the past five years (and almost daily for the past month or two). 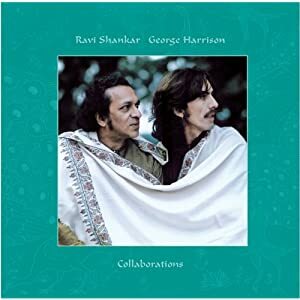 Ravi Shankar and George Harrison are certainly not obscure fellows, but this is apparently out of print, so here we are. Despite the marquee names, you won't hear Ravi Shankar's sitar or George Harrison's voice or lead guitar. Still, this is one of the best things that either recorded in their careers. 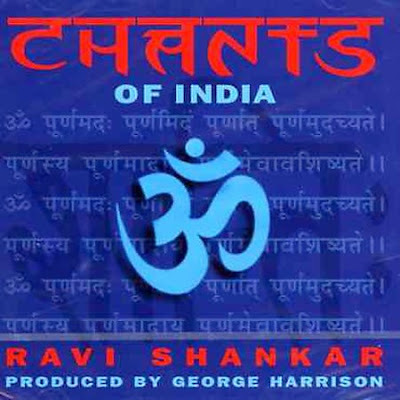 Shankar took it upon himself to arrange a number of ancient Indian chants, while Harrison took on the role of producer and contributes some acoustic guitar parts as well as some instrumental textures such as the vibraphone. 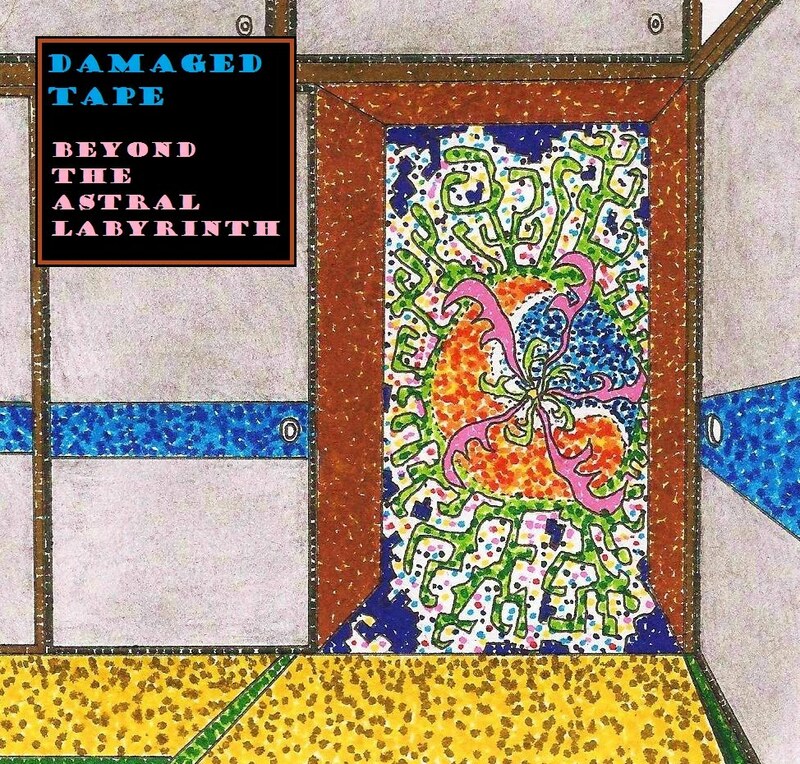 This is truly transcendent music - much of the music on this blog may take on additional layers after ingesting a few psychedelic substances, but all this album needs to take you on a trip is a ray of sunlight piercing through your window. This would easily make my list of ten 'Desert Island Discs' for those of you that used to peruse the pages of Tower Records' "Pulse" magazine. I've been playing this a lot around my one-year-old daughter as what I hope is mind expanding children's music. This album is truly a part of my life and a very welcome gift from Shankar and the departed Harrison. I hope you will dig it as well. Poor Agitation Free, having their members continually poached by better known krautrockers like Tangerine Dream and Guru Guru - and all before their debut album! Fortunately some travels through Egypt helped them get it together, and this album is pretty sweet. Featuring echoes of Middle Eastern music along with touches of the glacial sounds of Tangerine Dream and Klaus Schultze and some prog rock grooving, Malesch makes for a fine 40 minutes. 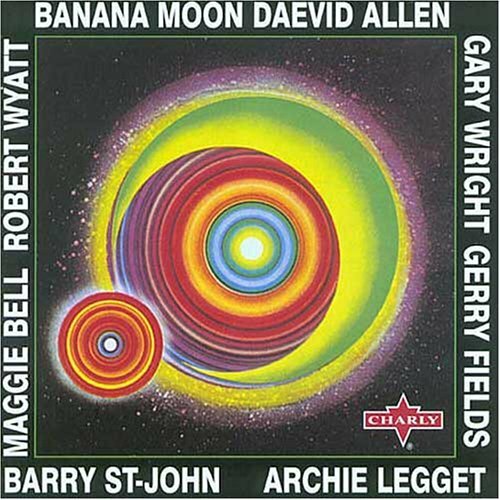 The drumming here is well played and recorded, and the organ riffs sometimes recall something Terry Riley would target. With a touch of early sampling, "You Play For Us Today" does a fine job setting the gliding groove that the album pretty much sticks to. "Sahara City" serves up a full blast of the Middle Eastern sounds before turning into a full-fledged freak out. Then it all comes together for the album's best track, "Ala Tul." That one makes me picture a wild solar medina (Arabic marketplace) orbiting Neptune. It's even a little groovier than the Star Wars cantina - at least in my head. The rest of the album is no slouch. The title track is only a shade under "Ala Tul" while striking a similar vibe, and "Rucksturz" sends us off with a final though of glammy, acid guitar. 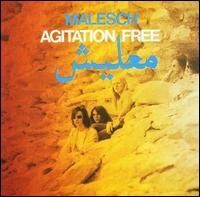 While there are plenty of elements on this disc that some of the other 70's German musicians pulled off even better, Agitation Free hits their marks well and the Egyptian sounds help set this one apart. With clean production and fine playing, this is a necessary listen. Please note that this group of krautrockers are Amon Duul, and not Amon Duul II. The original Amon Duul was a communal group of freaked-out German hippies of which being a band was only one facet, whereas Amon Duul II was an offshoot of the more musically inclined members of the commune. Although Amon Duul II is by all rights more musically accomplished and focused (while still retaining a strong avant garde edge), I tend to find myself listening to the spacey ramblings of the commune's recordings far more often. This album is the final set from the original group. The album begins with an extended side-length jam out, which starts off with a minimalist, proto-Spacemen 3 drifter which features vocals about time machines, and ends with a long acoustic guitar driven jam. They're both well and good, but my favorite part is the echoing guitar scales and noise in the middle of the track that stitches them together. The proper album contains two fully separated tracks on side two. While it's pretty primitive sounding, I'm charmed by the chiming guitars and probing bass of "Snow Your Thirst and Sun Your Open Mouth." Paramechanische Welt" isn't bad, but it does reek a little more of screwing around in a drum circle than I'm usually happy with. The reissue contains a couple bonus tracks that make a nice addition. "Paramechanical World" sounds almost like one of the early tracks that Damo Suzuki recorded with Can. 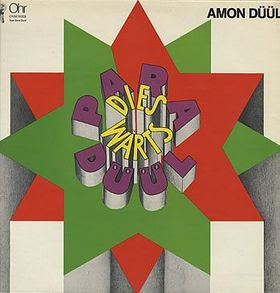 Although not quite an ultimate krautrock classics, Para Dieswarts Duul is one of the better early entries in the genre. I'm usually not particularly attracted to jammy rock unless played by top notch musicians, but Amon Duul manages to create some very cool atmospheres even if they don't always sound completely in control of their instruments. For those of you that grab anything with an Ohr Records label, this will be a most satisfying listen. *Note - My internet connection is still pretty screwy. I'll post when I can. Far East Family Band was one of the absolute best psychedelic/prog bands from Japan, while producer Klaus Schultze was (and is) at the top of the electronic krautrock pile. Even with such strong credentials from the outset, this album is more than the sum of its parts. The two musical forces meld perfectly, with the best parts of their musical identities at the forefront without obscuring the other. Parallel World is how every collaboration would go down in a perfect world (a perfect world that is parallel to ours I would suppose). "Metempsychosis" is sort of a prelude track, working a tribal groove not too far removed from Schultze's "Moondawn." Schultze's presence is felt even more with his cascading Moogs on "Entering," which eventually crashes head on with the full blast of the Far East Family Band on "Times." Yeah, they're probably echoing Pink Floyd's "Set the Controls For the Heart of the Sun" a bit too much, but I'll forgive them as I think "Times" is ultimately a superior track. 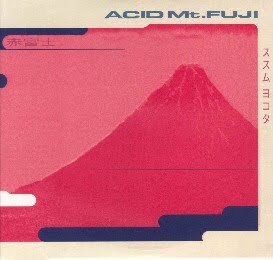 We then get an extended 'sad Japanese man' psychedelic ballad with "Kokoro." It's my least favorite track here, but the quality of this album is so high that it would be a highlight on a lot of other albums. Side two consists of the "Parallel World" song suite, and of course is not to be missed. "Amanezcan" provides some modular Moog haze, while the band cranks up the voltage into some fine psychedelic funk beats on "Origin" and "Zen." The rest of the album lets the sonic DMT kick in as we're treated to some cosmic sounds that rival those on Tangerine Dream's Alpha Centauri. 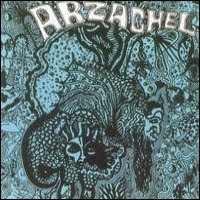 Parallel World is one of the best psychedelic/prog albums of the 70's. 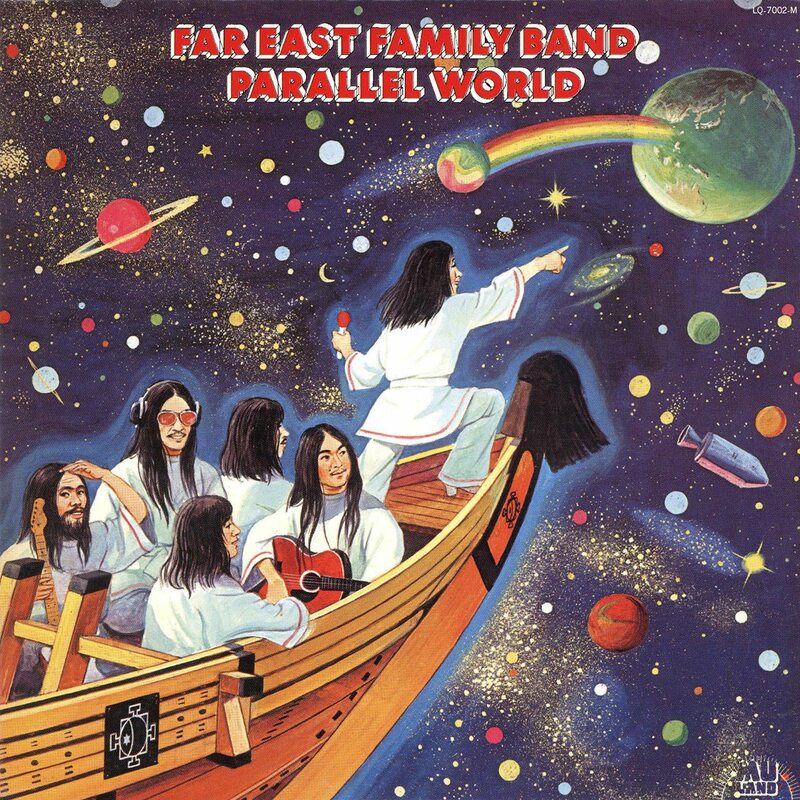 It's definitely the best the Far East Family Band ever sounded, and it's a high point for Klaus Schultze as well. This reaches farther out into the space rock aether than most of the space rock luminaries ever managed, and deserves the ear of all the heads out there. 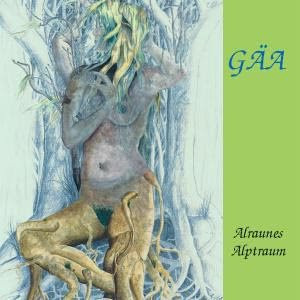 Gaa was one of the more obscure krautrock bands, which I suppose is already a somewhat obscure genre. The first three tracks were earmarked for their never completed second album, while the rest comes from their "second wind" in the 80's. They don't sound like the same band at all. 70's Gaa has a smooth psychedelic jazzy sound while the 80's stuff is more like manna for leather-clad eurotrash neon-lit club dwellers of the period. You'll want to give this a listen for "Autobahn" and "Morgendammerung." The first has nothing at all to do with the Kraftwerk tune, but sounds sort of like if Roger Waters had taken his World War II obsession to the next level. I'll admit that it could just be because they're singing in German. Either way, it's got a pretty awesome spacey groove. "Morgendammerung" is a lengthy jazz-rock instrumental that has a great flow, even if the bass player seems to have trouble holding the beat a few times. "Heilende Sonne" is a perfectly listenable track, but the rest of the album is ridiculous. I don't necessarily want to dismiss the rest of the album as the inspiration for David Hasselhoff's musical career, but I can help but get an imagine of the Hoff himself working his way through a no-budget karaoke video as this stuff plays. I bet seeing the 80's Gaa in concert would have been a memorable experience, but it sound silly on your sound system. So we have the memory of a pretty decent 70's krautrock band side-by-side with a bit of the absurd. At least the last four tracks are jaw droppingly bad in a 'I can't believe this is happening' sort of way. That's got to make it worth one listen during which you can pump your spikey bracelet-lade fist. It also a fine album for you to subtly end your next party. Note: Yes, I know that the first "a" in "Gaa" has an umlaut, but I'm too lazy to figure out how to type that out. Note 2: While I do enjoy the bug green on the cover, the rest of the art work makes me extremely unhappy and I think gave me a nightmare last night. Fortunately, the other dream where I went skydiving is the one that I remembered well. If for not other reason than the spectacularly psychedelic cover art, I'd wager that a fair amount of you psych-heads out there know Gandalf already. The thing is that the baroque popsters had already broken up by the time that first album came around in 1968, and these recordings are mostly from 1968-1970. No, this is more of unearthed odds and sods from Gandalf luminary Peter Sando - but this is not a problem at all. 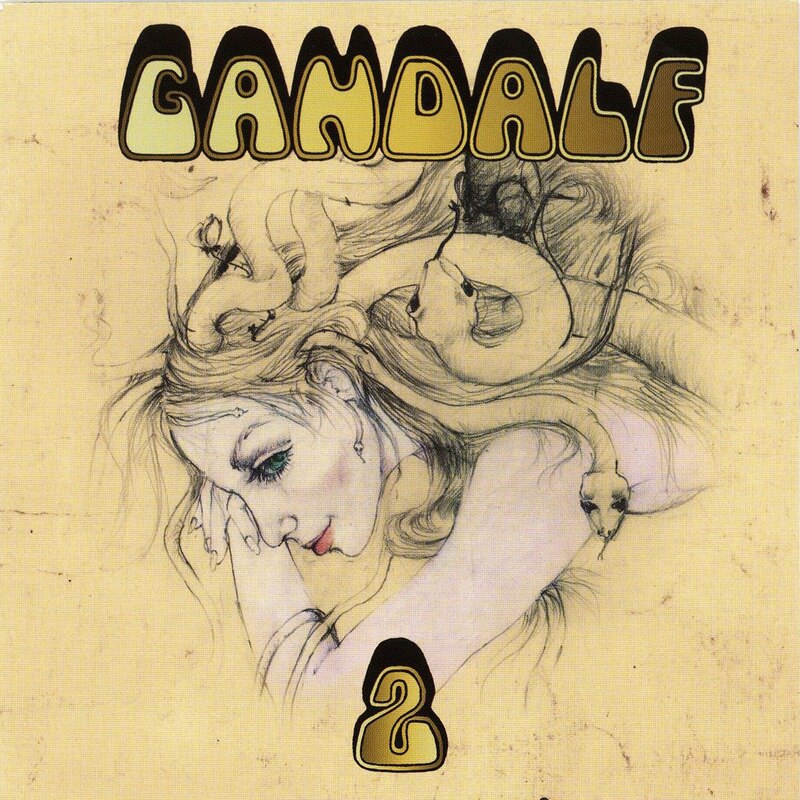 Sando wrote the two original songs on the first Gandalf album, and I lamented in my review that there should have been more. I was very happy to find that we get eight more Sando tunes on this disc. Now, fans should come forewarned that the organ sounds and endlessly echoed vocals that formed the band sound is not often present here. In fact, these songs are pretty much all over the place stylistically, with acid-folk, psych rock, and pop rock along the lines of the better early 70's Beach Boys recordings representing a few of the genres bouncing around the grooves of this album. The recording quality varies a lot as well from full production numbers to sputtering demos. We get the best tunes at the beginning and the end of the album. "Bird in the Hand" is a great opener and could have slipped in nicely on the Beach Boys' Sunflower. "Days Are Only Here and Gone" and the cover of "Ladyfingers" do drift a little closer to the more recognizable Gandalf, so you don't get left completely high and dry with this collection. The tail end of the album has some live tracks that are not of the best recording quality, but they do rock out. "Golden Earrings" is arguably better than the studio version and they make a nice Yardbirds' style rip through "Downbound Train." I don't think this really qualifies as a real Gandalf album, but there are lots of groovy sounds for you to pick and choose from. Besides, when dealing with a good band that only released one album, there's something to be said for any attempt to scavenge for some more tracks. It certainly plays better straight through than Syd Barrett's Opel.